Great looking, easy on frames (especially for the level of detail), etc. Excellent scenery! I wish they made more for the United States. 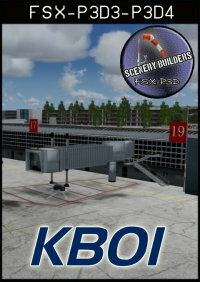 I will probably buy the STL and MCO scenery but wish they had others. I don't typically fly outside of the U.S. 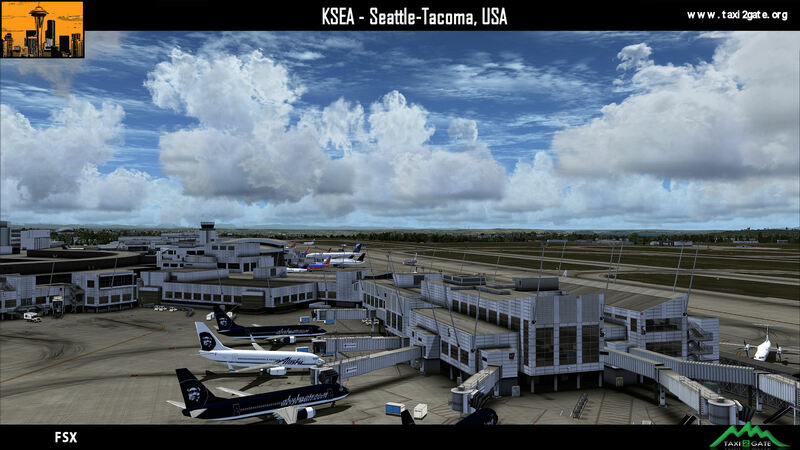 This is an excellent rendition of Seatac airport ( my home airport for almost 30 years, born raised and current! ). All the buildings are beautifully made along with the ground textures and so on. They have even provided many of the outer building structures such as the hotels and businesses that live along the airport. I would say this is all layed out very accurately ( for the time it was made, Seattle is always growing. ). Also, a very nice touch with the Airport Expressway that is paved along by the airport! The product is very smooth and easy on the frames and Virtual Memory ( only OOMed when I kicked up the Traffic too high ). 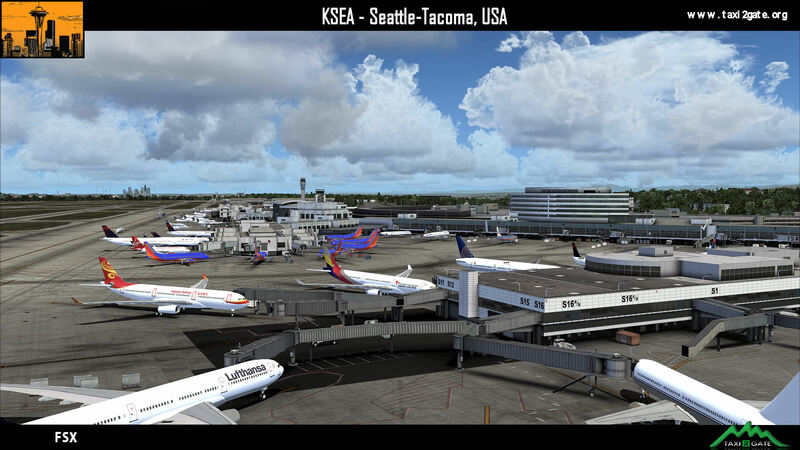 If you want to experience Seatac for what it is for the most part ( this airport in real life is ALWAYS growing and improving ), I strongly recommend this product 100%. Thank you Taxi2gate for another great airport. It seems to perform even better than the default version! Visually appealing, surprisingly good FPS, lots of detail. Main terminal building looks terrific. Very satisfied with this airport purchase and fast becoming a Taxi2gate fan. 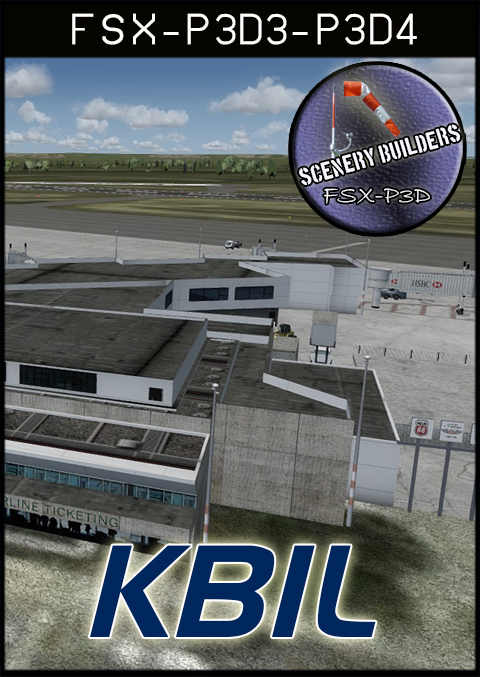 Was hesitant to purchase a large airport in a full ORBX FTX region but it did not disappoint. The fixes required as far as T2G are concerned have all been incorporated into their latest full installer. 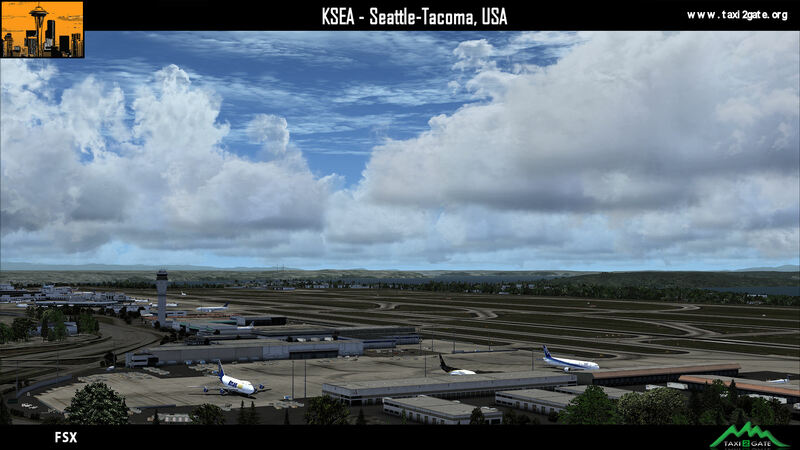 If you have ORBX FTX installed, be sure to see the compatibility fixes in the ORBX forum for T2G's KSEA. Works perfectly if you follow the recommendations - noting that the T2G fixes are all now automatically included in their full installer as mentioned. If I had known this I wouldn't have needed to waste any time trying to look for the fixes. To put this review in context, my sim environment is Prepar3D V3.3. 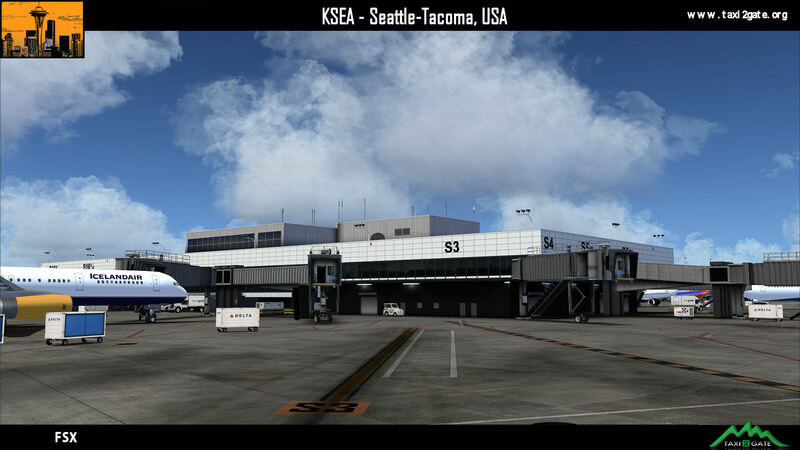 From a visual standpoint, TAXI2GATE's modeling and texturing of KSEA is an outstanding work and brings KSEA up to date including the 3 parallel runways. 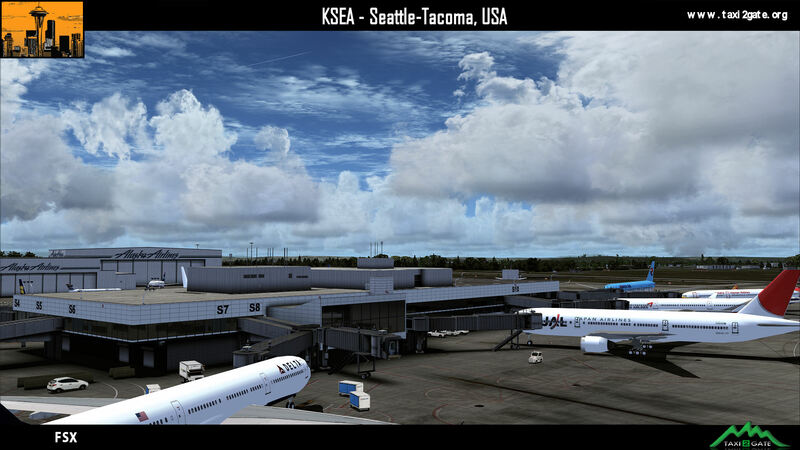 Major and minor visual features of the airport and immediate areas have been represented to the highest level of detail. 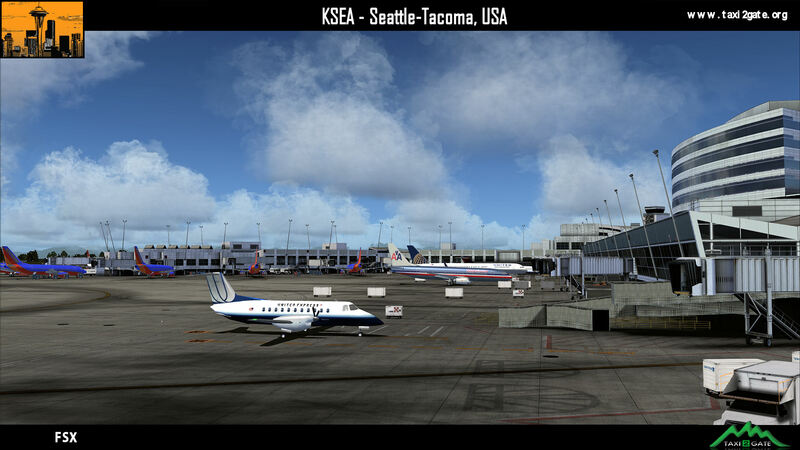 However, as with other sceneries created by TAXI2GATE, there seem to be lingering issues related to elevation, AFCADs, and integration into mesh and ground textures surrounding the airport. 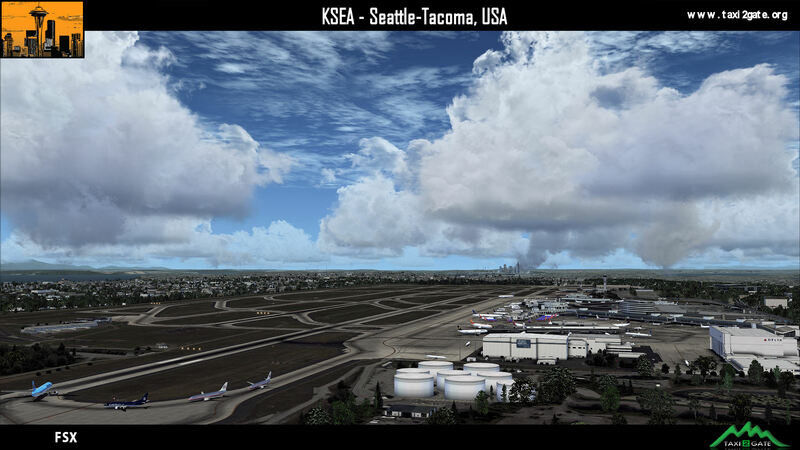 KSEA in particular has required 3rd party fixes to integrate KSEA into the surrounding mesh for ORBX users (with and without Orbx Pacific Northwest). 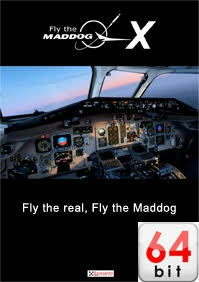 To date, the AFCAD for the airport does not accurately represent instrument approaches for the 3 runways. It is my hope that TAXI2GATE improves their testing before releasing future works as this continues to keep their products below other authors which do pay attention to these details. Many jump to purchase their products for their visual appeal only to discover these oversights soon after ownership. No complaints here. T2G has yet focused on every detail of this airport. I haven't been there personally, however from the actual pictures it looks exactly the same. They even kept the construction and remodeling in the scenery. 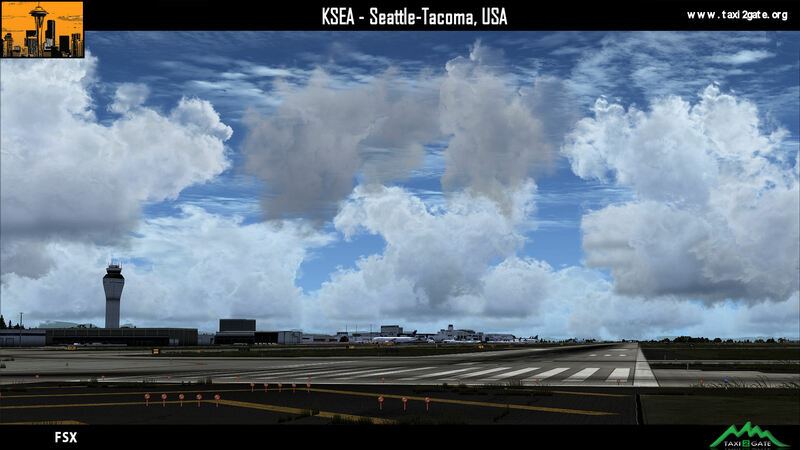 Just be sure if you are using ORBX/PNW that KSEA is above at a high priority. Excellent product. The ground markings, the textures, FPS are all very good. Im using P3D v2 and its looks great. 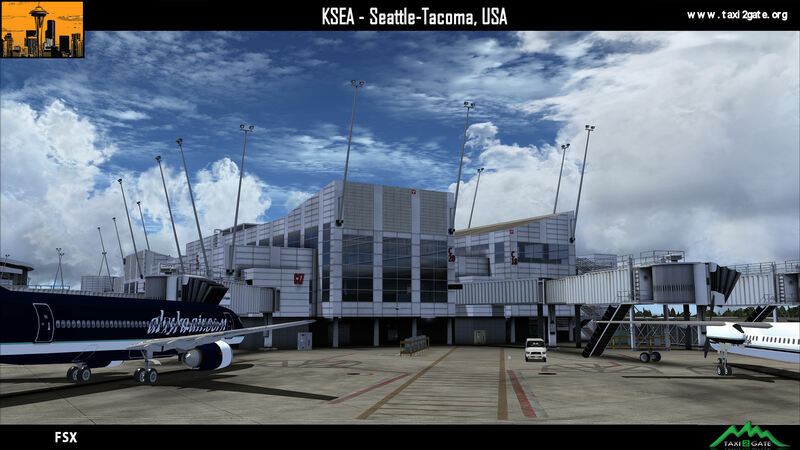 Taxigate -Seattle Tacoma International Airport is something that you have to experience for yourself. The frame rates are unbelievable for an airport of this quality! The textures, lighting and 3d models are incredible. I'm in awe. Taxi2Gate has really impressed me with this scenery. 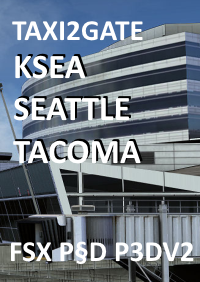 Extremely well-done KSEA and a performance marvel. Keep it up guys, you're now competing with the best of them! T2G becomes more and more my favorite scenery developer. 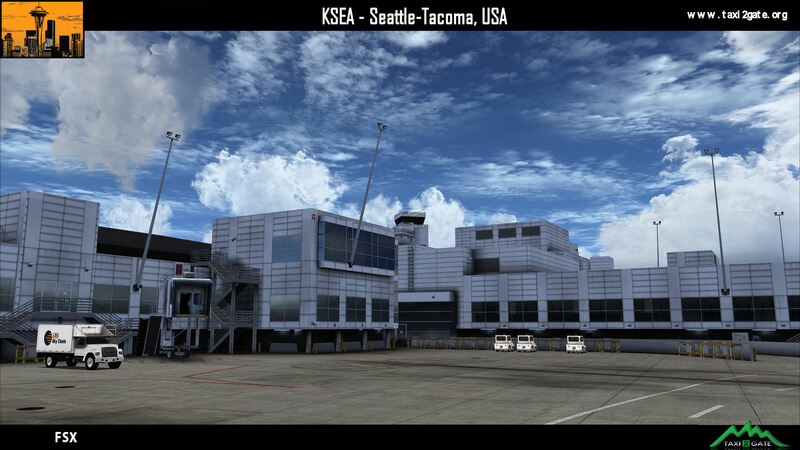 They have done again a great job with KSEA. Very detailed scenery, still very performance and VAS friendly. Terminal interiors are also very well done with superb reflections on the windows. What more can I add to the reviews here except this absolutely blows me away! 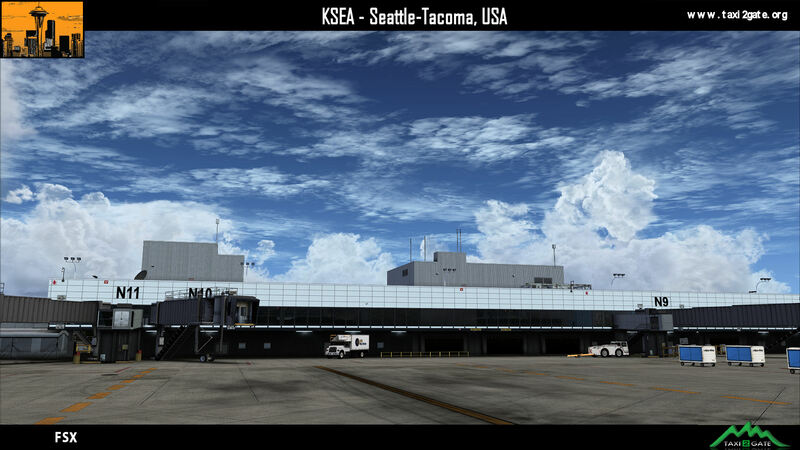 Truly superb rendition of KSEA. 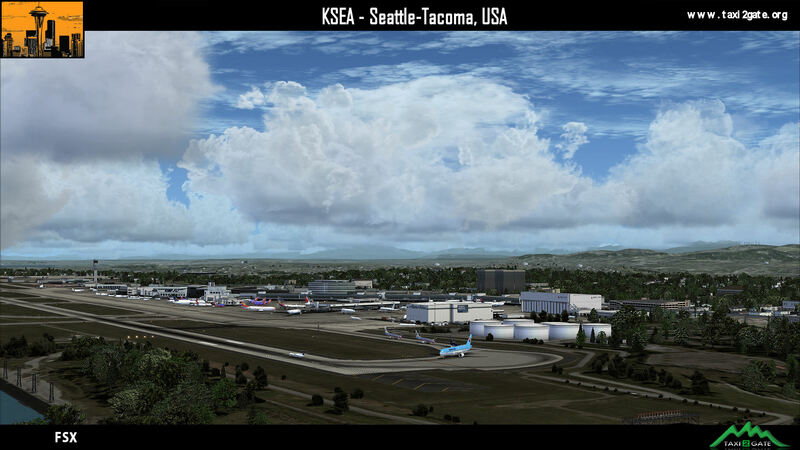 Looks wonderful in P3D 2.5 along with Orbx Pacific Northwest installed. Incredible level of detail but with the most minimal performance hit. Taxi2gate keep going from strength to strength! An absolute must-have. I am amazed that they were able to pull off such great detail with no noticeable FPS hit (considering how heavy this area traditionally is on framerates, even in default scenery). 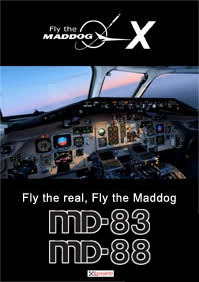 Probably one of my favorites to fly to/from in the sim now. Great job T2G! Knocked it out of the park T2G! Man, this is good. 27 FPS on full blast. I am extremely impressed! The interior with Anthony's and the chairs in side the terminal and detail is really impressive especially considering the frame rate. LTBA was good but this is even better. A+ effort. A+ product. What a surprise! 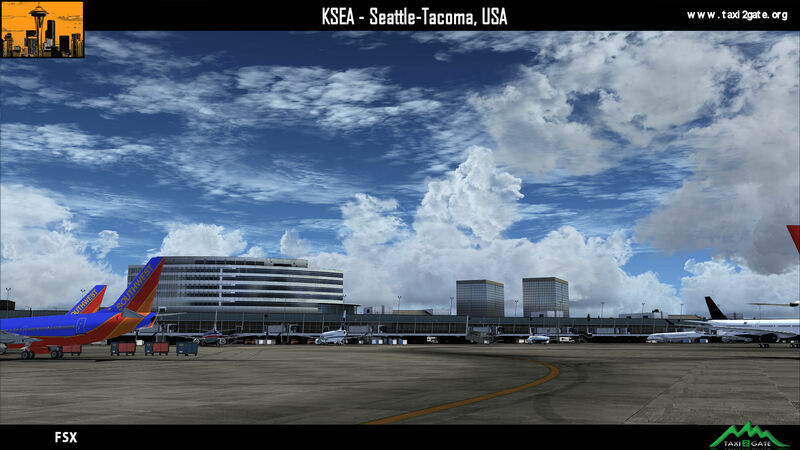 What a pleasant surprise, KSEA as it is today!! I had no idea T2G was even working on this. SHOCKED!!! I would like to start off by saying many thanks to the customer service at simMarket. Had a few issues that were handled with care, patience and brilliant swiftness. Extremely thankful for their time, will definitely buy from them in the very near future ( wish list is stacked! ) Ok! Product review! 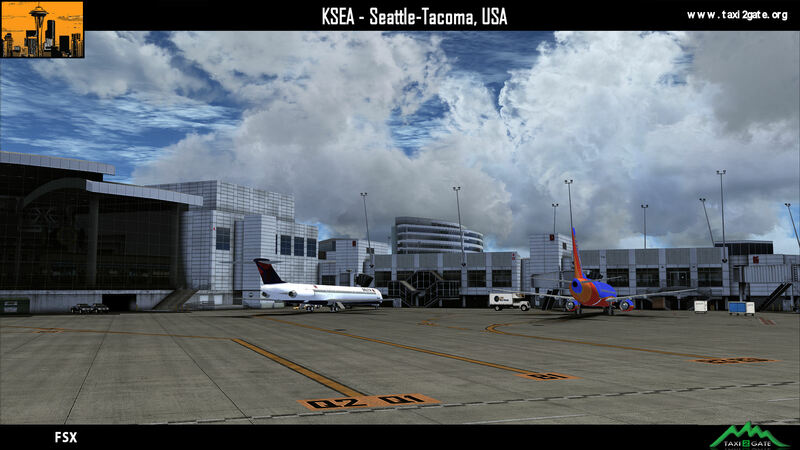 This is an excellent rendition of Seatac airport ( my home airport for almost 30 years, born raised and current! ). All the buildings are beautifully made along with the ground textures and so on. They have even provided many of the outer building structures such as the hotels and businesses that live along the airport. I would say this is all layed out very accurately ( for the time it was made, Seattle is always growing. ). Also, a very nice touch with the Airport Expressway that is paved along by the airport! The product is very smooth and easy on the frames and Virtual Memory ( only OOMed when I kicked up the Traffic too high ). 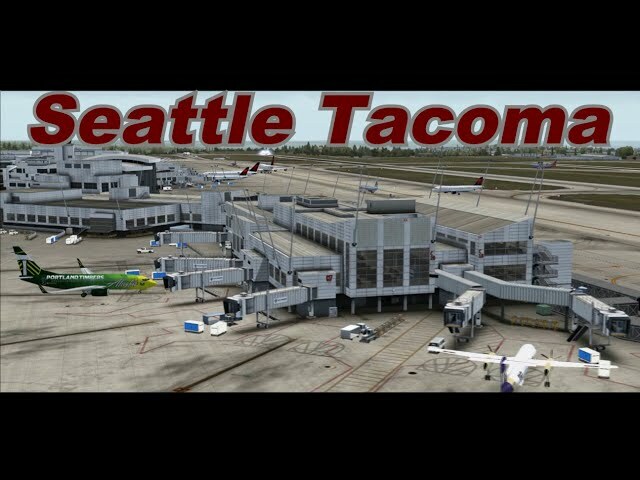 If you want to experience Seatac for what it is for the most part ( this airport in real life is ALWAYS growing and improving ), I strongly recommend this product 100%. Excellent, A+! Thank you! Thank you Taxi2gate for another great airport. It seems to perform even better than the default version! Visually appealing, surprisingly good FPS, lots of detail. Main terminal building looks terrific. Very satisfied with this airport purchase and fast becoming a Taxi2gate fan. 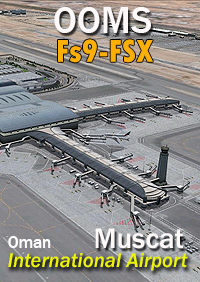 Was hesitant to purchase a large airport in a full ORBX FTX region but it did not disappoint.  Notes for other users: The fixes required as far as T2G are concerned have all been incorporated into their latest full installer. 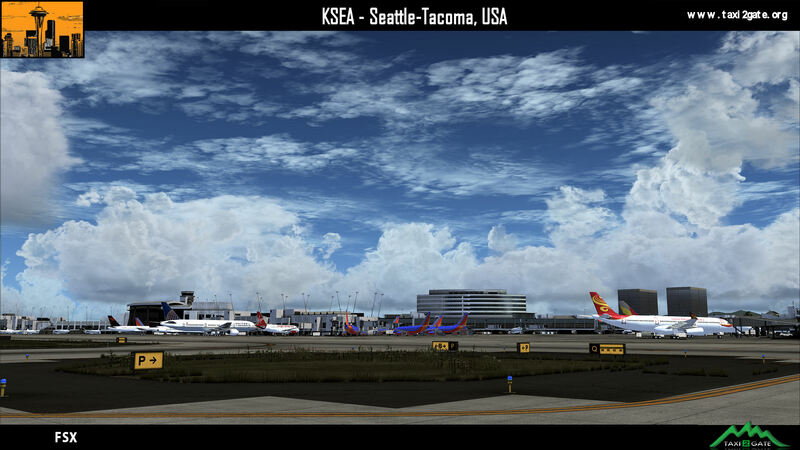 If you have ORBX FTX installed, be sure to see the compatibility fixes in the ORBX forum for T2G's KSEA. Works perfectly if you follow the recommendations - noting that the T2G fixes are all now automatically included in their full installer as mentioned. If I had known this I wouldn't have needed to waste any time trying to look for the fixes. Highly recommended. Excellent product. The ground markings, the textures, FPS are all very good. Im using P3D v2 and its looks great.